The eleventh major release in the Assassin’s Creed series is coming this October in the form of Assassin’s Creed Odyssey. Set in the time of the Peloponnesian War in Ancient Greece, the game follows the conflict between Athens and Sparta with its own fictional flair. If you’ve been a fan of the series since the beginning, you’ll know that Assassin’s Creed is famous for its action-role playing in ancient history based on real life legends and myth. Though many say the trope is becoming monotonous since the original story line, this new installment follows the same traditional themes. Developer Ubisoft still seem determined to bring back the game’s old passion with a combination of previously popular elements and new, upgraded features. This installment promises to give players an extensive open-world experience, with a multitude of explorable environments. 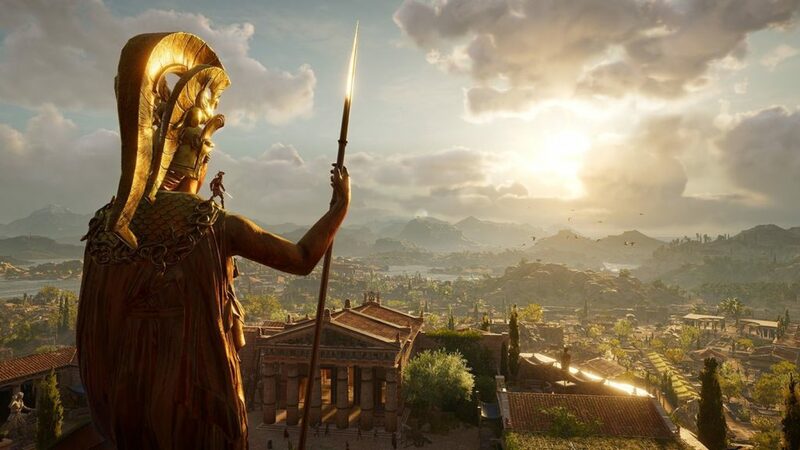 “The Ancient Greece of Assassin’s Creed Odyssey is the biggest and most dynamic open world in franchise history”, claims the game’s official website. Landscapes in the game are also said to be vibrant and colourful, with varying terrain and changing seasonal and day/night cycles. Combat in the game is as diverse as its landscapes. The game developers have made combat styles, armour and skills a fully customisable experience. As Odyssey is set in the time of war, open battles also feature. One of the more exciting features coming back to Assassins Creed is the Black Flag-like naval combat. Ships and crews are also yet another customisable feature in Assassin’s Creed Odyssey. One of the most unique elements of Odyssey is what the developers call “choose your path”. As the player, you have the freedom of choice in character and decision making. Combine this with customisable combat, and you’re basically writing your very own story throughout the game. “Your decisions shape the world around you with over 30 hours of choice dialogue and multiple game endings. Experience an entire ancient world that constantly evolves and reacts to your every decision,” Ubisoft adds. Assassin’s Creed Odyssey is set to be released across major platforms on 5 October 2018.